It’s likely you’ve never heard of the 530 MLE, even if you’re something of a BMW fan. 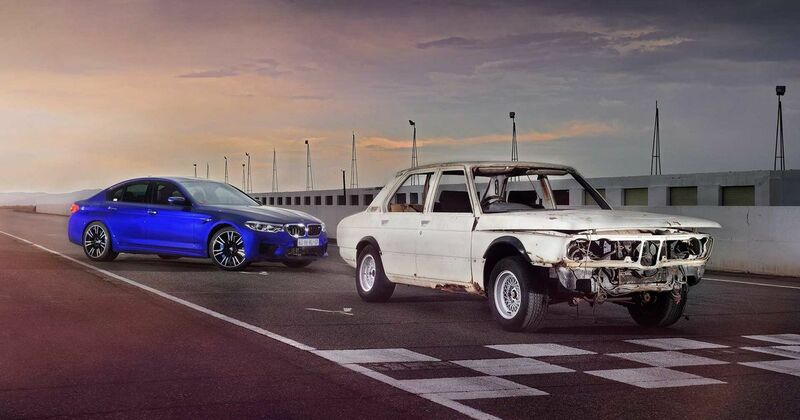 A heavily revised version of the E12 525i, the 530 was built for South Africa’s Modified Production Series. It turned out to be quite good at winning stuff, too. The MLE snagged the championship in 1976, 1977 and 1978. A homologation special was commissioned, built in extremely low numbers. There were 110 in 1976 (known as the Type 1) and 117 in 1977 (referred to as the Type 2). Each had their original 2.5-litre inline-sixes ditched and replaced with 197bhp 3.0-litre lumps and were given to BBS wheels, wider arches, various aero additions and M stripes. The MLEs were treated to a raft of weight-saving measures too, including an air conditioning delete, lighter seats and manual windows. It’s a special and very rare car, with few of the originals surviving. The one you’re looking at here is serial number 770100 - the 100th Type 1 to be built. It’s not in the best shape, but BMW has pledged to restore it, and in this emotional video, the guys who built the car at BMW South Africa’s Rosslyn factory are reunited with it. No, I’m not crying. There’s something in my eye, OK? We can’t wait to see the finished car.